It’s safe to day Car and Driver didn’t have the best experience with its 2014 C7 Corvette Stingray. Despite all of the problems had, final feelings before the goodbyes were said were still satisfying overall. The 2014 Corvette Stingray, equipped with the Z51 package and seven-speed manual, certainly left an impression, for better or worse. But, the problems are hard to overlook. Some of the problem highlights include the engine destroying itself at 6,000 miles, long cranks in the Michigan winter, passenger seat airbag replacement at 15,000 miles which caused the seat back to unravel and more. It’s unfortunate, but it’s reality, and the 2014 C7 Corvette was not the sweetheart it normally is. However, C&D did admit other C7 Corvettes that have passed through its hand performed much, much better. Therefore, the conclusion was hopeful the particular Corvette was part of a small problem batch. The latest Corvette is an amazing performance bargain, and it still pained us to hand back the keys. But the reality is that this Stingray failed spectacularly, and its 17-month evaluation was a test of our patience as much as it was of the car itself. We can forgive some of its troubles because the C7 is the type of machine we’re happy to still have in our over-regulated and increasingly automated world. But we won’t forget this experience anytime soon. 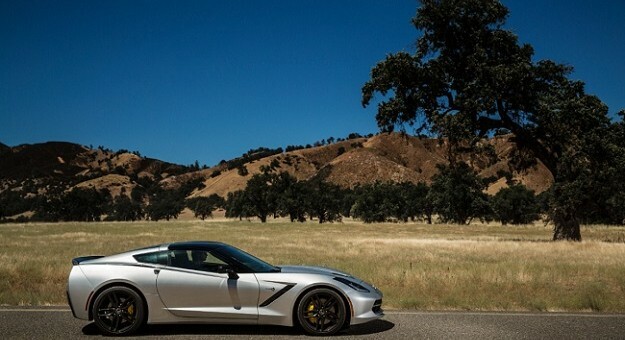 On to greener pastures, dear 2014 C7 Corvette. Post bailout GM had something to prove here and came up with this hack job instead. Almost 20 years ago, when they came out with the NSX, I mean C5, the book “All Corvettes are Red” also painted a bleak picture of the dying giant GM. Now all that is different is that they have more money to build junk. Finally got to spend some time in a rental ’15 Tahoes and Suburban. Panel gaps are huge, dash is finally soft touch but looks like elephant hide, what isn’t soft touch still looks supplied by Fisher Price, automatic rear hatch was slow and noisy on both, until it stopped working altogether on the ‘burban, ya’ll already know what I think about 5.3L, slow, and insulting to call it a new engine. These things aren’t cheap either, for Porsche / Audi / Lexus coin, shouldn’t you be buying a Porsche / Audi / Lexus? Just sayin’.